Château de Brissac is a castle located in the commune of Brissac-Quincé, the department of Maine-et-Loire, France. The castle is recorded to have been built during the 11 th century, and has a long and interesting history. Like many castles around the world, the Château de Brissac is said to possess its own resident ghost. This is the ‘la Dame Verte’ or Green Lady, who is said to be the ghost of an unfaithful wife murdered by her husband during the 15 th century. Dubbed as the ‘tallest castle in France’, the Château de Brissac is said to have originally built as a castle by the Counts of Anjou during the 11 th century. During the 15 th century, the château was rebuilt as a fort-like structure by one of Charles VII’s ministers. During the French Wars of Religion, which broke out during the 16 th century, the château was made into his possession by Henry of Navarre (who would later reign as Henry IV of France). When Henry became the King of France, the château was given to Charles II of Cossé as a reward for his support. Charles was also awarded the title ‘Duke of Brissac’. During the Wars of Religion, the Château de Brissac is said to have been badly damaged, and the king gave his newly-appointed duke the necessary funds of have it rebuilt. During the French Revolution, Charles’ descendants lost the château. Additionally, it was ransacked and damaged during this chaotic period. The château is said to have been abandoned for the next half a century. During the middle of the 19 th century, the château was once again in the hands of the Dukes of Brissac, and extensive renovations were undertaken during this time. About a century and a half later, the château is still owned by the Dukes of Brissac, and is the residence of the current (13 th) duke. The château may be visited by the public. 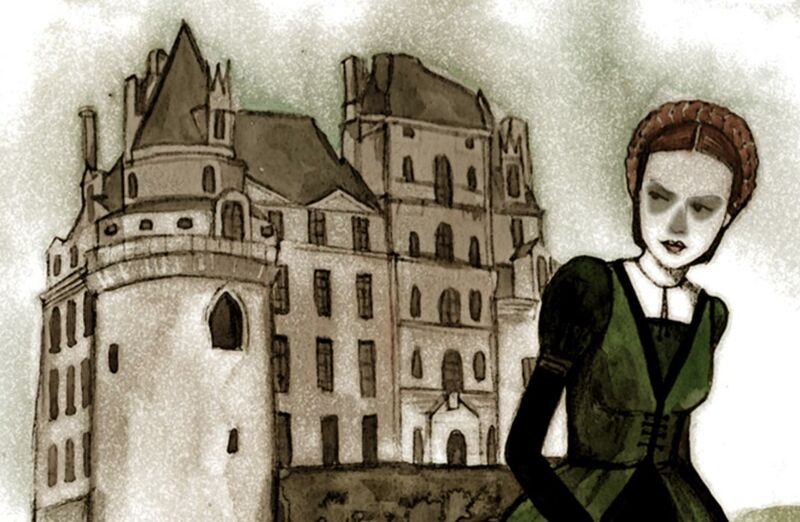 One of the most infamous residents of the Château de Brissac is the ‘la Dame Verte’ or Green Lady, who is the château’s resident ghost. The Green Lady is said to be the ghost of a woman by the name of Charlotte de Brézé, who was the illegitimate daughter of King Charles VII and his mistress, Agnes Sorel. She was also the half-sister of King Louis XI. 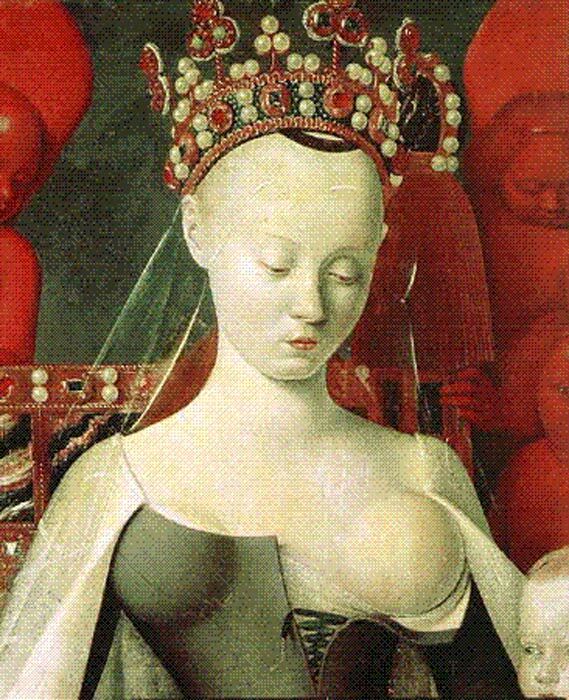 In 1462, a marriage was arranged between Charlotte and Jacques de Brézé, a nobleman. It has been claimed that the marriage was politically motivated, and that the two did not love each other. Additionally, it has been said that the two individuals had quite different characters. For instance, Jacques is said to have enjoyed outdoor activities such as hunting, whist Charlotte was more inclined to a sophisticated life. On May 31, 1477, Jacques is said to have returned from a hunting trip, had dinner with his wife, and then went to his room. It seems that the couple did not sleep in the same bed, and in the middle of the night, a servant woke Jacques up to inform him that his wife was having an affair with a man by the name of Peirre de Lavergne. Jacques caught his wife and her lover red-handed, and in a fit of rage, murdered the adulterous couple. Apparently, Jacques moved out of the château shortly after the murder, as he could not stand the moaning of his late wife’s and her lover’s ghosts. Today, it is claimed that only the ghost of Charlotte remains in the Château de Brissac, as there are no reported sightings of Pierre’s ghost (who perhaps might have moved on at some point of time). The dukes of the château and their families are said to have grown accustomed to her presence, though it is claimed that guests have been frightened by her. Her favorite haunt is said to be the tower room of the chapel, where she can be found in her green dress, hence the name ‘Green Lady’. Additionally, it has been claimed that the ghost’s face has holes in place of her nose and eyes, perhaps a reflection of what was done to her when she was murdered. Her moans are also said to be heard throughout the château in the early hours of the morning.